Comedy Central’s The Half Hour has a new attitude, a new name, and a spectacular new lineup of young comedians who will record a half hour with the network next month. 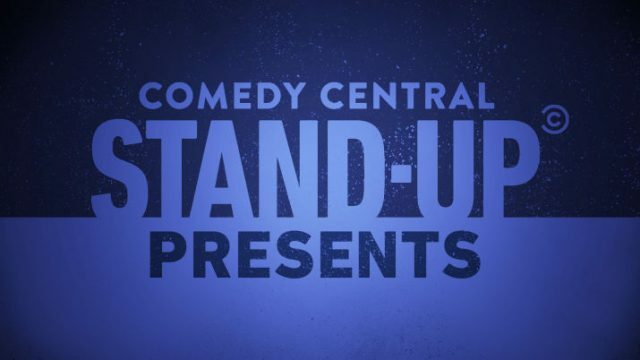 Newly dubbed Comedy Central Presents, 14 episodes will air in 2017, and will be taped in New Orleans at The Civic Theater. Tapings, by the way, will take place from April 19 through April 22, and tickets are free! Here’s where you can get em. The list features Adam Cayton-Holland, Anthony DeVito, Jo Firestone, Solomon Georgio, Casey James Salengo, Sam Jay, Josh Johnson, Joel Kim Booster, Lashonda Lester, Chris Redd, Yamaneika Saunders, Julio Torres, Shane Torres, and Jenny Zigrino. 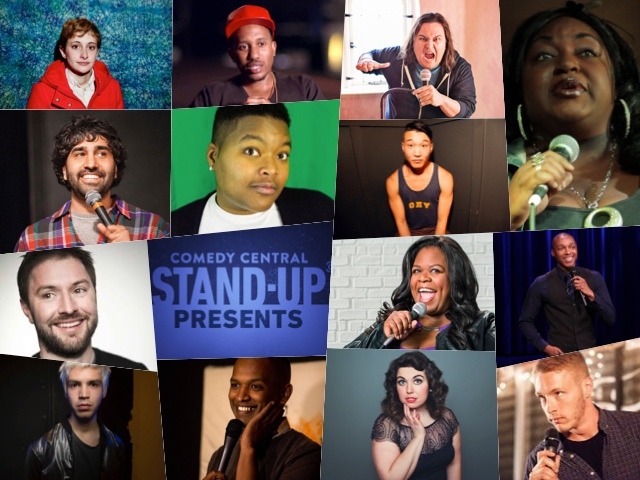 The line up is a list of some of our favorite young comics. Adam Cayton-Holland who we’ve been following since he was a Denver sensation as a member of the Grawlix comedy group, and who we love watching on truTV’s Those Who Can’t. From Chicago, Joel Kim Booster has been killing- we first saw him at the Second City Break Out Festival and then he generated big buzz in Montreal at the Just for Laughs New Faces show this year, and his Conan set was phenomenal. Also hailing from Chicago is Chris Redd, who is already a sensation from his scene-stealing appearance in Popstar: Never Stop Never Stopping, and is set to appear on Netflix’s upcoming Disjointed series. Chris was a featured at Chicago’s Second City Break Out Fest two years ago and came back last year as a special guest who was already known and loved by the audience. New York City is the proud home of several comics being featured. Anthony DeVito who is another Interrobang favorite was the 2015 winner of Caroline’s March Madness, a new face at Just For Laughs and a regular on SiriusXM’s Bennington Show and we featured him as part of our #UpNext series. Also from New York is Jo Firestone, who was a Just for Laughs New Face just this past year, and is basically making everyone’s lists of who’s next to be a giant star. You can see her in Mike Birbiglia’s Don’t Think Twice, and she’s been a regular contributor to The Chris Gethard Show. Also a favorite from NYC- Josh Johnson, who just had a killer (and heart tugging) late night stand up debut on The Tonight Show. If you haven’t seen it, check it out. Josh was also up at Just for Laughs this year as a New Face, and we’re huge fans. Everyone knows Yamaneika Saunders now as the woman in red at this year’s Comedy Central Roast Battle, and you probably also remember her from Last Comic Standing, but NYC knows her as hilarious and powerful presence in the New York scene and we love her. Her TV credits include Comedy Knockout, the Nightly Show, and Black and White on A&E. Also from New York, is Brooklyn based Julio Torres, who just joined the Saturday Night Live writing staff full time this season. He was a member of the 2015 class of New Faces at Just for Laughs, and he’s such an original voice! We’ve seen him performing all over New York City, and you may have seen him on Horace & Pete or HBO’s High Maintenance. We love Shane Torres, who came to New York via Portland and Texas before that. He was featured on Gotham Comedy Live this year, and made his late night debut on Conan in 2016, and we’re big fans. New York’s own Casey James Salengo is the final New York comic who will grab a half hour special this year. He had a great set at the Just For Laughs 2016 “New Faces” in Montreal this year, and you can see him on the upcoming season of Uproarious on Fuse. We saw Jenny Zigrino own the stage at Just for Laughs this year, as one of the 2016 New Faces and she had a killer set on Conan. A rising star in Hollywood, her first film appearance was a leading role in the film 50 Shades of Black with Marlon Wayans, and she also stars in the film Bad Santa 2 with Billy Bob Thornton. Boston comedian Sam Jay who has since moved to Los Angeles, just got her late night debut on Kimmel, and there is no question she is going to be a big name in comedy. She’s opened for powerhouse acts like Hannibal Buress and Dave Attell, and she has established herself as a rising star in the national comedy scene and everyone loves her. Solomon Georgio has been making waves out of the Seattle scene with stories of his life as an openly gay African immigrant. Solomon was a finalist on NBC’s Stand-Up for Diversity showcase and has been a regular performer at several festivals, including Seattle’s Bumbershoot Music & Arts Festival and Portland’s Bridgetown Comedy Festival. In 2014, Solomon made his television debut as the featured comedian on Conan and has since appeared on Comedy Central’s This Is Not Happening, and The Meltdown with Jonah and Kumail. Finally, Austin’s own Lashonda Lester, winner of 2016’s Funniest Person in Austin competition and was named one of Comedy Central’s “Comics to Watch” for 2016. When not performing stand-up, she’s the creator and executive producer of the biography lecture series Weird True Hollywood Tales, now in its fifth season. Congratulations to Comedy Central and to all 14 comics, this promises to an outstanding season of a great series.